Pterosaurs are extinct flying reptiles, the first vertebrates to achieve powered flight. Our understanding of the evolutionary transition between basal, predominantly long-tailed forms to derived short-tailed pterodactyloids remained poor until the discovery of Wukongopterus and Darwinopterus in western Liaoning, China. 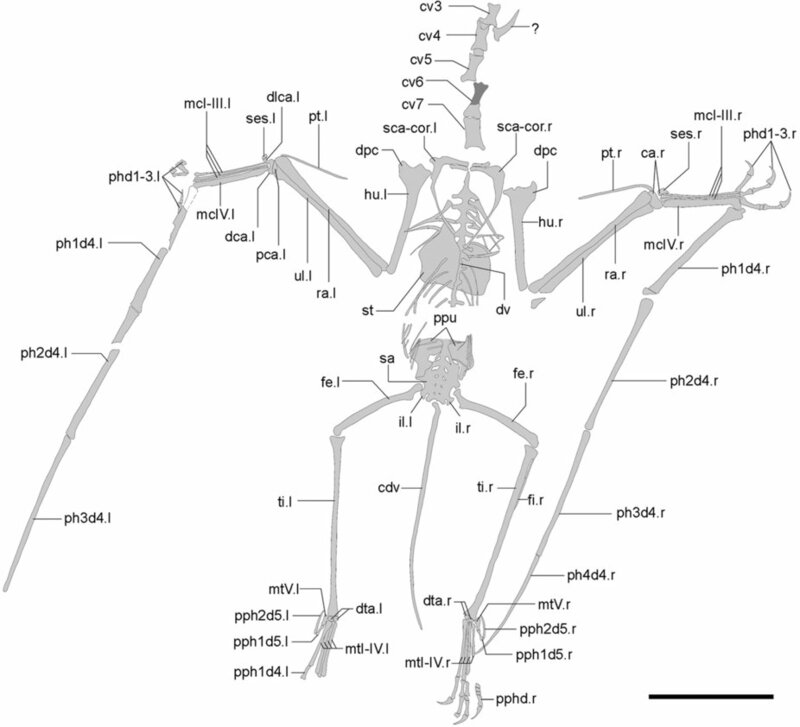 In this paper we report on a new genus and species, Douzhanopterus zhengi, that has a reduced tail, 173% the length of the humerus, and a reduced fifth pedal digit, whose first phalange is ca. 20% the length of metatarsal III, both unique characters to Monofenestra. 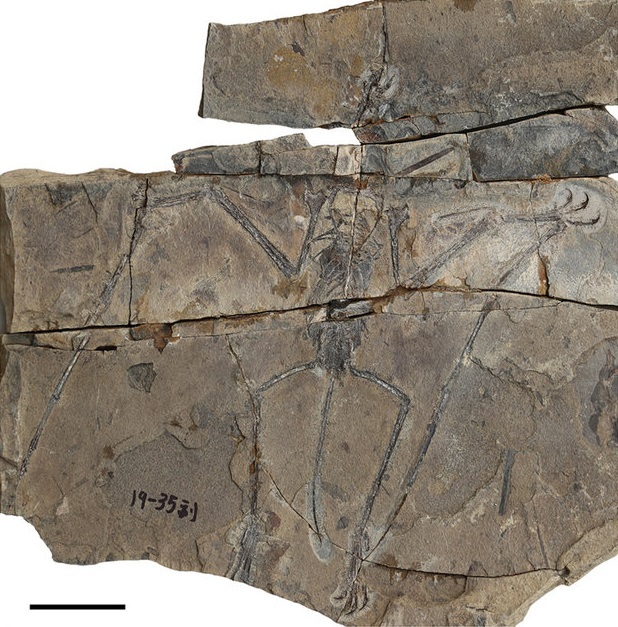 The morphological comparisons and phylogenetic analysis presented in this paper demonstrate that Douzhanopterus is the sister group to the ‘Painten pro-pterodactyloid’ and the Pterodactyloidea, reducing the evolutionary gap between long- and short-tailed pterosaurs. Douzhanopterus zhengi gen. et sp. nov. 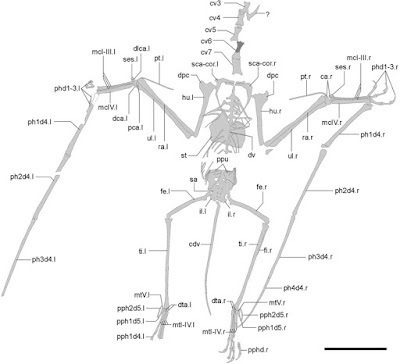 Figure 1: The holotype of Douzhanopterus zhengi gen. et sp. 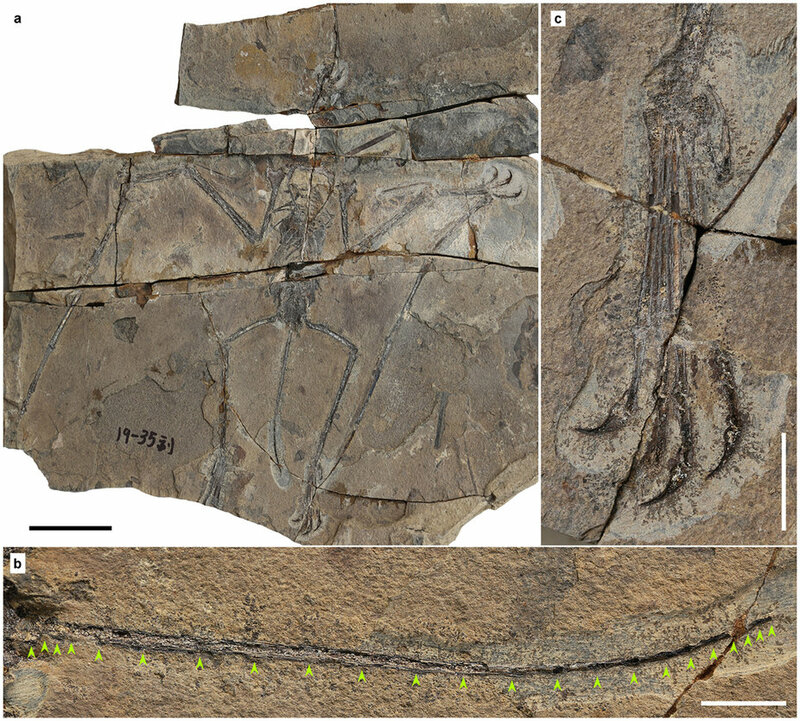 nov.
(a) Part of the holotype; (b) close up of the tail, green arrows indicating the anterior and posterior ends of each caudal vertebra; (c) close up of the right foot. Scale bars are 50 mm, 10 mm, and 10 mm in (a,b and c), respectively. Etymology: Douzhan, Chinese pinyin, the name of a buddha granted by Wukong, the Monkey King in the Chinese legend, indicating the relationship between this new pterosaur and other non-pterodactyloid monofenestratans, such as Wukongopterus, pterus, Greek, referring wings; species name in honor of Professor Xiaoting Zheng, who supported our research on this specimen. Locality and Horizon: Linglongta, Jianchang, Liaoning, China; Daohugou Bed (or Tiaojishan Formation), Late Jurassic. Diagnosis: Monofenestratan pterosaur diagnosed by autapomorphies including a reduced tail that is 173% the length of the humerus as well as a reduced fifth pedal digit, whose first phalange is ca. 20% length of metatarsal III. 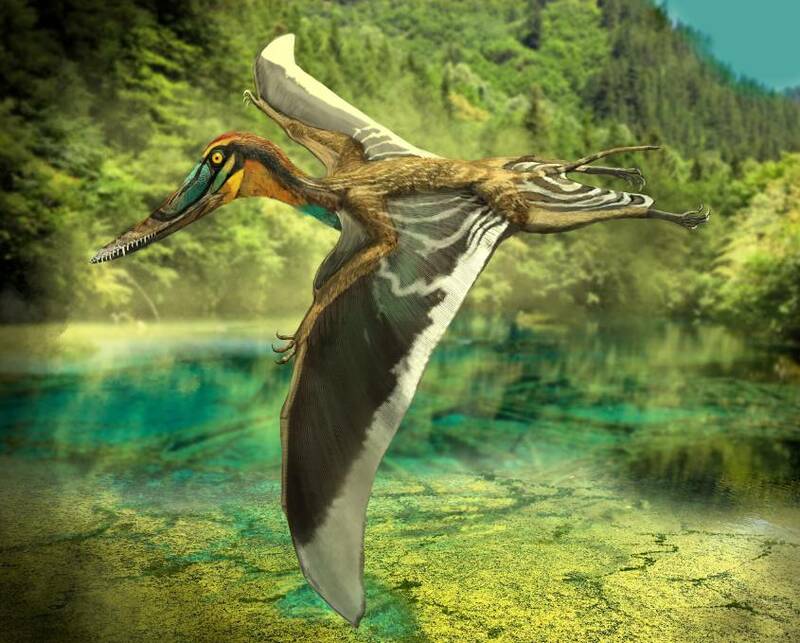 It can be further distinguished from other monofenestratan pterosaurs on the basis of the following combination of characters: the length of the mid-cervical 2.5–3.5 times of width; 22 caudal vertebrae with elongated zygapophyses and chevrons; pteroid over half length of ulna; tibia ca. 180% length of femur, and; fifth pedal digit V having two phalanges.